Does Amazon Care About Its Own Seller Requirements ? Amazon.com has been historically thought of as a company that wants to provide its customers with the best. However, this belief could come under question, with what I believe to be Amazon failing to regulate its own seller requirements. This can be seen in the issue of refrigeration water filters, for which Amazon introduced a new seller policy in April 2017. Amazon introduced a general listing restriction for replacement refrigerator water filters being sold on their platform. The requirement stipulates that these types of filters must be fully certified to at least the NSF/ANSI-42 standard (including Material Safety, Structural Integrity, and System Performance). Amazon’s actions seemed to follow the “Filter it Out” campaign launched by the Association of Home Appliance Manufacturers (AHAM), whose main aim has been to help increase customer awareness about counterfeit water filters. This campaign is being carried out in conjunction with accredited bodies like IAPMO, WQA, and NSF. According to a circulated email from Amazon in April 2017, all Sellers of replacement refrigerator water filters were given until 10 May 2017 to provide Amazon.com with evidence that their products were certified . Failure to comply with this requirement would mean that the seller and their products would not be visible to their buyers anymore. Seemed like a great way to work towards protecting its customers from poorly constructed and performing water filters. As Amazon’s clearly stated requirements stipulate, “Replacement water filters for refrigerators listed on Amazon must be fully certified to at least the NSF/ANSI-42 standard (including Material Safety, Structural Integrity, and System Performance)”. The focus here is on System Performance and how this requirement seems to lack enforcement by Amazon. An NSF 42 certification to a buyer on Amazon can be misleading if one is aware of these requirements. You see, you can obtain NSF 42 certification for material and safety only, without obtaining a “system performance” certification. So one could mistakenly think that requirements are met by seeing an “NSF 42” on the water filter being sold on Amazon. But it is just that; certification is only for two of the three requirements. 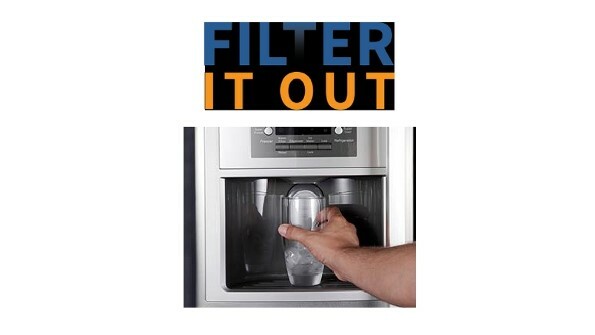 K&J Charcoal Filters sell these 10 refrigerator water filter replacements on Amazon.com. They are stating they have NSF 42 certification as you can see here. However if you look at their NSF profile, their certification is for “material and structural integrity requirements only”. No system performance. How does this get passed Amazon? My next example is EcoLife Technologies who were mentioned by Inc.com not too long ago. Here is a company that has over a hundred listings of replacement refrigerator water filters selling under multiple different brands and has a number of these that are shown as “Amazon Best Sellers”. This is despite all of their refrigerator water filters failing to meet Amazon’s system performance requirements. I counted 3 Best Sellers on their first product page that failed to meet this requirement. A “Best Seller” gets an orange banner placed over their listing. As a consumer, I pay attention to those and generally my thought process is “it must be good if other people are buying it”. One of said Best Sellers I opened to view the expanded listing and it is noted as “Amazon’s Choice”. The filter is NSF 42 certified as the Seller also notes on the listing, however it is only for “material and structural integrity requirements” along with many other filters they sell. As a consumer, when I see “Amazon’s Choice” I feel it really must be a good product and certainly it would never cross my mind that it wouldn’t be properly certified. A third example is Pure Line who sells 15 different water filters currently on Amazon. They advertise, even promote on their product listings both NSF and WQA ratings. Their NSF ratings as well as their WQA ratings are lacking the system performance. So again, are not meeting Amazon’s requirements. The only question that remains now is why Amazon is not enforcing the requirement of “system performance”? They, of course, could remove this requirement if they wanted to if they think it isn’t necessary. But the requirement currently stands and yet it is not enforced.